All roads lead to Rome, they say. Yes, they do. Italy is not just a country, it is a source of inspiration. Italy is blessed with unique charm – all the places here are work of art and they have been attracting visitors from across the globe for centuries. Here you can feel the spirit of the past while enjoying the present. Italy’s incredible landscapes, world-famous cuisine, museums and fascinating architecture, a passion for fashion, football, openhearted and beautiful Italians – are the reason why over 40 million tourists visit Italy every year. With the many other treasures Italy is the perfect destination to experience unforgettable adventures. Right now, the citizens of the US travel to this fascinating country without a visa and without other form of permits. As of the year of 2021, they will have to apply for the online application ETIAS in advance of visiting Italy and any country in the Schengen Area. Europe Travel and Information Authorization System is a travel authorization, which is being developed by the EU. Its goal is to strengthen control of the external borders of the Schengen Zone due to immigration flow and terrorist threats. 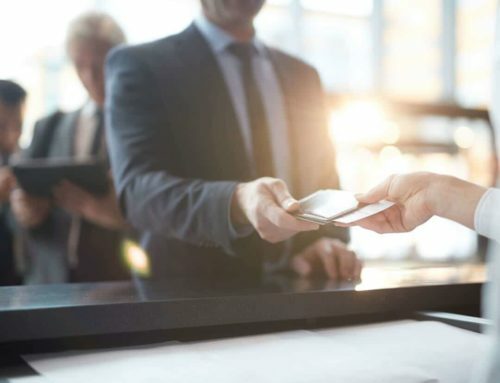 The ETIAS authorization will be a mandatory requirement and after its implementation all travellers will be checked prior to their arrival, which will help the EU to identify threats. 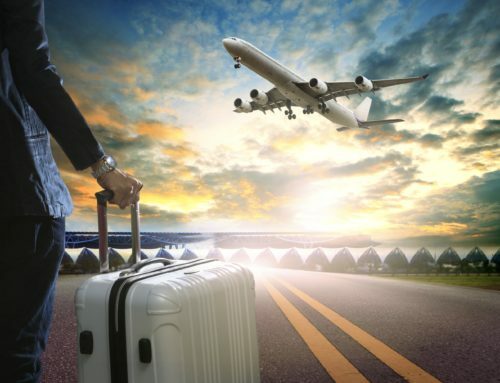 By completing an online application, the citizens of the United States and other visa-exempt nationals will obtain an ETIAS travel authorization, before travelling to Italy or any other country in the Schengen Zone. It will require travellers to provide their personal details and to answer the security questions. The fee will not exceed 80 US dollars and after approval, a travel authorization – ETIAS, will be valid for a period of 3 years. As Italy and in general – Europe has serious immigration issues and terrorism threats, ETIAS will give a little bit more peace of mind both, to the citizens and travellers. Check also our FAQs providing answers to some of the most frequently asked questions regarding the ETIAS program. Italy is located at the heart of Mediterranean Sea, in southern Europe, and is bordered by the countries of France, Switzerland, Austria, Slovenia, Vatican City and San Marino. As the Mediterranean region was the ‘bridge’ between several continents, Italy has witnessed many cultures in its past. Italy itself, used to be the centre of Western Civilization and influenced many nations around the world. It was the cradle of the religion, politics, arts and culture and has spread new ideologies around. Even today, when you stroll in Italian streets you can feel the spirit of past era. Every region has more historical monuments than any country in the world. Today, Italy is the world’s most celebrated destination. Every city and village are beyond compare. You can have it all here: from taking a Renaissance art tour to chilling on the beach with a glass of fine local wine. This county offers you truly an unforgettable vacation. In this article we gathered several beautiful places to visit, but note that, every place in Italy is worth seeing. An incredible experience is guaranteed in the prehistoric cave town of Matera. It is famous for its typical houses, which are carved out of the rock. These ancient cave dwellings are called – Sassi (stones), and are known to be the first human settlement in all of Italy. They are about 9,000 years old and were built as churches and monasteries. Years after, farmers have turned them into their homes. And there lived about twenty thousand people, who in 1950 were forced to leave the settlement. Today, majority of these cave dwellings, have been turned into cafes, shops and restaurants. In 2003 Mel Gibson used the town as a film set for his movie ‘The Passion of the Christ’. 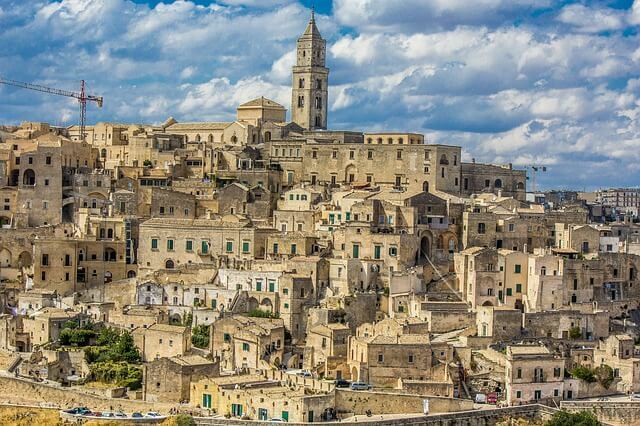 Matera has been selected as the European capital of culture in 2019 and it is the first southern town in Italy to be recognized as a capital of culture. It received World Heritage Site status by UNESCO in 1993. During your tour in Matera, stop by to dine in one of the caves and enjoy the spirit of the past times. The famous day-trip destination, a fishing town – Portofino is one of the most beautiful places on the Italian Riviera coastline. Located between Genoa and Tuscany, this small town of 500 residents, became famous for its harbor, multicolored waterfront houses and beautiful green scenery. 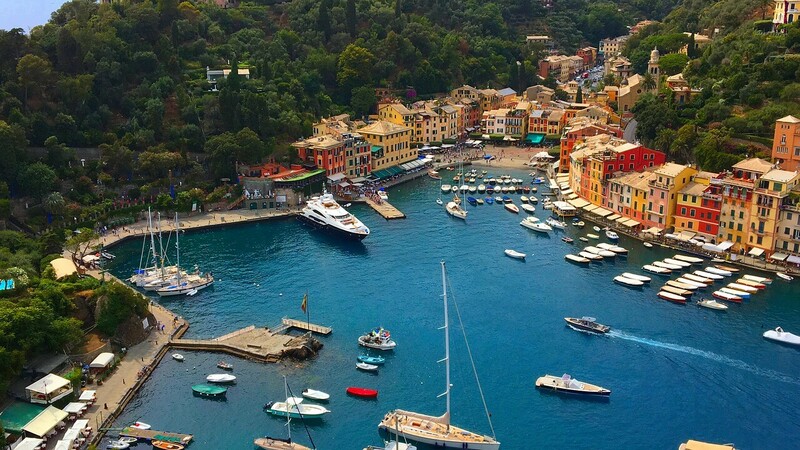 It attracts A-class celebrities, coming for the exclusive parties and Portofino sunsets. Stroll across the Ligurian Riviera, go for underwater attractions, or visit landmarks such as the 16th century fort – Castello Brown or 11th century church – St. Martin. There are different categories of hotels and elegant restaurants to choose. 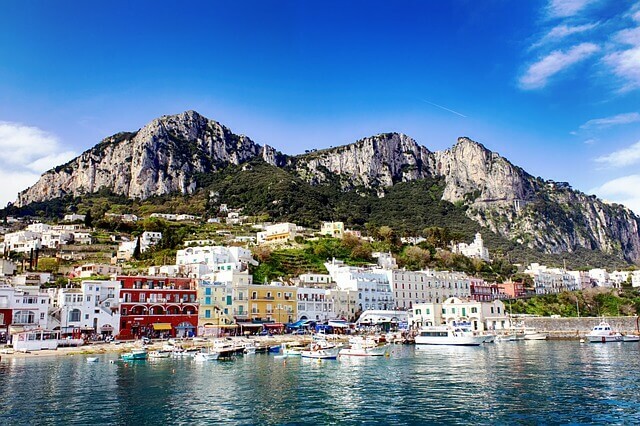 In the spectacular Bay of Naples, the beautiful island of Capri, offers natural beauty, splendid environment, and historic architecture. It is just three miles from Naples, and is a favorite destination for many travelers. After arriving by boat, visitors take the chairlift up the Mount Solaro, the highest point, located at 589 meters above sea level. It is the right way to start your visit in Capri, as you can feel yourself like you are on the top of the world. For the beautiful sunset visit the Punta Carena lighthouse, the second important lighthouse in the country. Also, visit the Blue Grotto, and the Faraglioni. 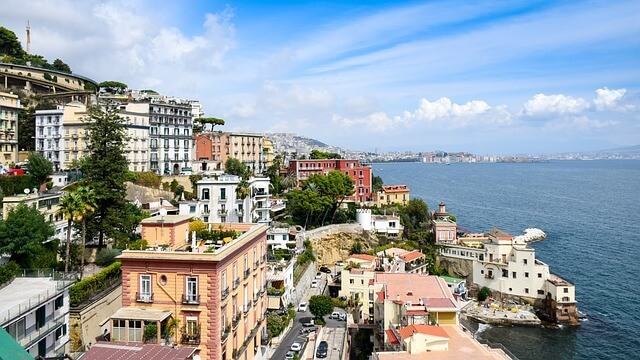 Naples – the capital of the Campania region is the third largest municipality in Italy after Rome and Milan. It was an important city in the western world. You can feel it in its streets, the houses, the shops have been there for centuries. The city offers many historic sites like the ruins of Pompeii, castles Maschio Angioino and the Castel Dell’Ovo. Food is great all over Italy. And Naples is one of those places where you can enjoy it. Any restaurant you choose, will impress you with its great Neapolitan cuisine. Importantly, get ready for a variety of delicious pizzas, as it is a birthplace of pizza. 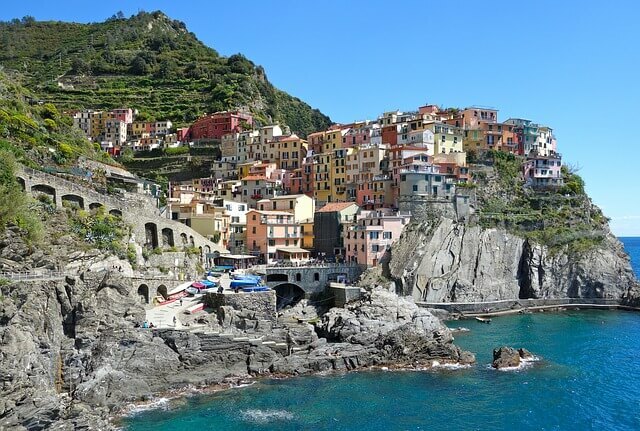 In eastern Liguria, on the coast of the Cinque Terre, Manarola is one of the oldest towns. The “Five Lands” consists of five scenic villages famous for their beauty. What’s notable about the Cinque Terre is that it is unreachable by car from the outside. You can get there by train or boat. It is the place where time stops and makes you enjoy every second. Visit restaurant Nessun Dorma, for a bottle of wine, delicious food and unforgettable view of sunset over the Mediterranean Sea. 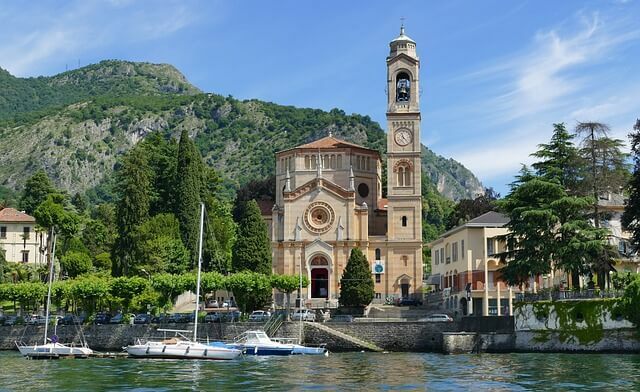 Picturesque Lake Como offers the perfect vacation away from the hustle. Situated in the north of Italy, in Lombardy, only half hour drive from Milan, between the Provinces of Como and Lecco. It is popular among visitors for its combination of fresh air, water and mountains. Lake Como is the shape of an inverted Y, and has small towns gathered around. Como and Lecco are the principal towns. It is the third largest lake in the country and is also the deepest lake. The area is famous for cycling, swimming, beautiful gardens and luxurious villas. Villa de Balbianello, built in the 16thcentury, is one of them. Many buildings here have been built here since Roman times. 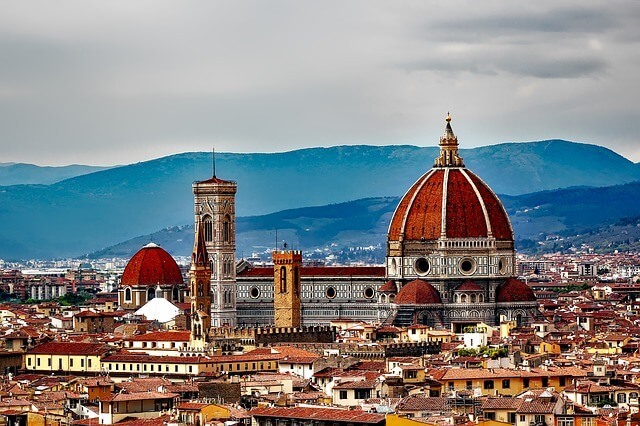 If you want to experience all Italy, it will be enough to visit only one city – Florence (Firenze in Italian). The Renaissance was born here, and has influenced all Europe. This is the main reason why you need to visit this ‘work of art’ city. It is full of history, art and mystery. Its charm keeps magnetizing people for centuries. Florence is home for masterpieces of Da Vinci, Michelangelo, Botticelli, Raphael, Titian and many other historical artists. The art galleries in Florence attract hundreds of thousands of people every year. Here you will have a feeling like you travel back in time. Each brick, street corner, tree keep hidden secrets and legends. You will need a day by day guide to plan your trip to Florence, and after sightseeing you will most probably be speechless. 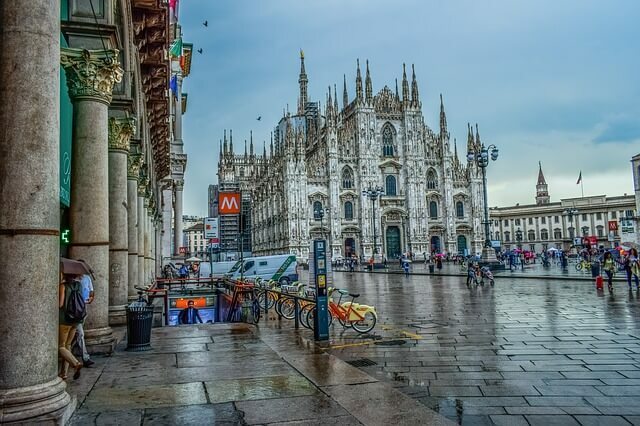 The world’s fashion capital and the financial capital of Italy, is filled with the diverse architecture from all periods, works of art, famous luxury brand shops and high class restaurants. What makes Milan unique, is that it is pretty much walkable city and thus you can discover many of its hidden treasures by yourself. No visit would be complete without visiting the world’s famous opera house La Scala and the Galleria Vittorio Emanuele II, a fancy shopping mall, which is a beautiful piece of architecture. 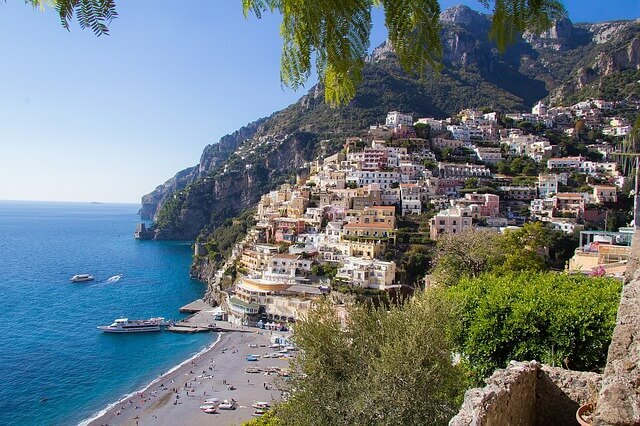 If you want to reset your mind and soul, Amalfi Coast is the best place to visit. It is located in the province of Salerno, and draws thousands of tourists each year. The coastline has mountains, incredible beaches, picturesque towns and islands. Choose any of the towns and enjoy the view of the colored mountainside houses, splendid cuisine and wines of the region, take the coastal walks or dip in the warm waters. You can experience many other treasures on a trip to this fantastic country. It is undoubtedly true that once you will visit Italy, you will fall in love with this country over and over again.